Simply Ballet - Vancouver BC - Faculty - Simply Ballet -Sometimes you simply want to focus on a ballet lessons without all competition. Jennifer is a sought-after teacher in the Lower Mainland. 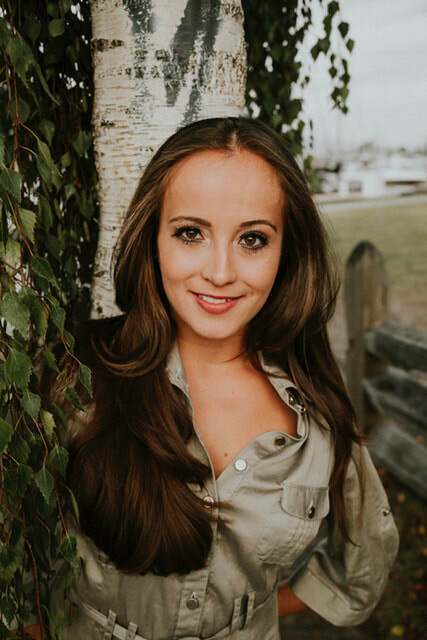 In the last 20 years Jennifer has been producing high level dancers to represent the province as well as Internationally. She is a graduate of the National Ballet School of Canada and their prestigious Teacher Training Program. She holds teaching qualifications of Cecchetti Ballet, with the Imperial Society of Teachers of Dancing, as well as the National Dance Branch. Jennifer spent many years perfecting her own technique at a professional level under the guidance of many well-known ballet masters in Canada and England. With a strong foundation in Classical Ballet, she carried on performing professionally in many classical ballets from Swan Lake to Sleeping Beauty to Neo-Classical independent choreography. As a professional teacher, Jennifer has developed many young dancers, encouraging them to meet the challenges of ballet, from progressing through the exam levels to performing her challenging choreography. Her students have performed in numerous local, national and international dance festivals and competitions with great rewards, including Youth America Grand Prix New York City Finals. Jennifer’s choreography has also been awarded in many high-level events. In addition, Jennifer’s students have been accepted to many of the post prestigious professional summer ballet programs across North America, including American Ballet Theatre, Haird Conservatory, Pacific Northwest Ballet, The National Ballet School of Canada, Royal Winnipeg Ballet, Boston Ballet School, Bolshoi Ballet Academy, The Rock School for Dance Education and the Joffrey Ballet School. Over her years of teaching, Jennifer herself has taught in many prestigious schools across North America, including the National Ballet School as well as in the United States. Jennifer has provided comprehensive, high quality dance education for children aged 2-19 for over 20 years. Her students have gone on with great achievements with professional dance careers, on international stages and even becoming high level teachers themselves. Jennifer is committed to delivering the highest quality in performing arts training to young dancers in a place where creativity is nurtured, and children are valued and encouraged to reach their full potential. Taryn Faustman, originally from Vancouver Canada began dancing at the age of 9. She is trained in many styles of dance but specializes in Jazz and Contemporary. At a young age Taryn had the privilege to attend the Royal Winnipeg Ballet School, Goh Ballet Academy, Pacific Dance Arts and Arts Umbrella. As a teen she went on to win the BC provincial title 5 years in a row, and represented Canada at the prestigious “Showcase” Competition located in Goldcoast Australia. Her acting and dance career started with one of her first jobs, where she was cast as Cha Cha DiGregorio, in the musical “Grease”, at the famous “Theatre Under the Stars”. In 2010 she began her professional career onboard “Royal Caribbean” and “Holland America” Cruise lines, expanding her skills into aerial as well as travelling to all 7 continents. Following traveling the oceans, she moved to Sydney Australia, where she booked her first national commercial with “Vodafone”, appeared dancing for “Samantha Jade” at the nickelodeon slimefest, as well as dancing in the musical “Grease” at the annual Dally M Awards. Since then Taryn has travelled throughout China, Las Vegas and Los Angeles growing her career. This has given her the chance to work with Todrick Hall in “RuPaul’s Christmas Spectacular”, Gene Lornardo for “Raw” Las Vegas, Melden Steele in “Legends in Concert”- Black and White Ball, “Best Buy”, and most recently with Brad J Clearly and Kim WIllicke in production with “Premium Projects”. Taryn has also been a successful choreographer and teacher of 8 years. Her choreography has gone on to win many awards at competitions such as YAGP, Team Canada- Germany, Nuvo, Synergy, BC Provincials, and the Dance Awards NYE. Taryn can be most recently seen as a dancer and main actor in 4 different production shows at the brand new “Mall of Qatar”, which has gathered audiences up to half a million. Taryn plans to let her job take her to any new destination it leads her. Kostyantyn started dancing in 2002 at the Odessa Ballet Academy in his hometown in Ukraine. In 2005, he moved to Vancouver and continued his training at the Goh Ballet Academy where he received numerous scholarships, including The Hnatyshyn Foundation Grant. In 2007, Kostyantyn participated in The Genée International Ballet Competition and was awarded the Silver Medal. The same year, he joined the Hong Kong Ballet where he took on the leading roles of Prince Siegfried (Swan Lake), Albrecht (Giselle), Nutcracker (The Nutcracker), Count Danilo Danilovitsch (Merry Widow), Prince Desire (The Sleeping Beauty) and Prince Charming (Cinderella). 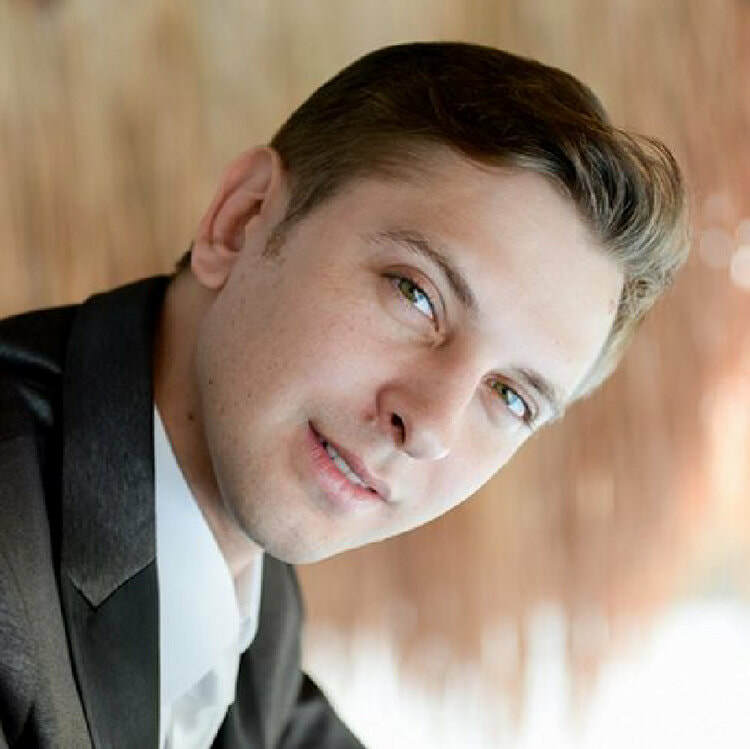 Kostyantyn also had the opportunity to work with choreographers Nacho Duato, Peter Quanz, Stanton Welch and many more as well as perform in works like Castrati, Steptext, Clear, Luminous, Serenade and Allegro Brillante. Kostyantyn left the Hong Kong Ballet as Soloist in 2015 and joined the Royal Winnipeg Ballet that same year. ​ Jenifer started her dance studies at the age of three and very talented since the beginning she was admitted to the Bolshoi Theater School in Brazil obtaining the best score during the selection process among over 5,000 children. During the time at the school she performed always as a soloist throughout Brazil and Internationally: Italy, Germany, France, and Russia. During her time at the school she was indicated by Vladimir Vassiliev to represent the school at the Galina Ulanova prize to young dancers in Moscow. In 2007 Jenifer was accepted to join the School of the English National Ballet in London with full scholarship. Jenifer graduated at the Bolshoi School as valedictorian of the class in 2009 and at the same year went to a competition In Brasilia and was awarded a full scholarship to the Pacific Dance Arts School, she performed in all the shows as a principal and spent two years with them also started her teaching career at the same time. In 2011 she received a contract to perform for a full season as principal dancer with the Baltimore Ballet where she also coached the advanced dancers to compete. Jenifer worked in Brazil at CIA Brasileira de Ballet as principal dancer and coach for two years. In 2013 she moves to Boston to train at Boston Ballet and one year after at the age of 23 she moved to Vancouver to finish her BFA in Arts Administration. Along her career Jenifer had the opportunity to perform with Alla Scalla di Milano and share the stage with starts as Natalia Osipova, Ivan Vassiliev, Marianlea Nunez, Ekaterina Krysanova, Marta Romagna Marcelo Gomes, Tiago Soares. At the age of 8, Pam started dancing and she knew instantly this would be her passion. Growing up, Pam trained and competed in the Fraser Valley, studying jazz, ballet, modern, lyrical, stage and hip hop. One of the highlights of her dancing years was when she was chosen to be a representative at the BC Provincial Festival of the Arts. In later years, Pam frequently travelled to Seattle and L.A. to further her dance training. Locally she has performed in and choreographed for many shows and fundraisers throughout BC including the Merritt Mountain Music Festival, Jail House Rock, a fundraiser for Haiti and many more performances. Pam’s passion for teaching emerged around age 18 and since that time she has dedicated her time and energy to her students and her craft. Her students have won many awards and scholarships and some have gone on to have successful careers in the dance industry. Saki Okuyama was born and raised in Sapporo, Japan. She began her classical ballet training at the age of 7 at Hokkaido International Ballet Dance Company. At the age of 18 she travelled to Novosibirsk, Russia to train at the prestigious Russian National Novosibirsk State Choreographic Academy where she won first place in their annual competition in 2010. She also won fifth place in the Namu Ballet Competition Japan in 2012. Upon graduation and wanting to further her training in ballet she joined the Goh Ballet in Vancouver, Canada performing with their Youth Company for 3 years, under Chan Hon Goh. During this time, she was involved in the Goh’s production of The Nutcracker dancing in the role of Arabian and others. Currently, Saki is a part of Coastal City Ballet under Li Yaming. During her dance career, she has danced in many productions including Giselle, Le Corsaire and Monasterio by Renata Pacheco. Wanting to pass on her love of dance, she has taught at Pro Arte for the last 2 years and regularly teaches level 3 ballet at Harbour Dance. Saki is excited to teach at the Simply Ballet and to share her passion for Ballet with her students. Lex Burnham is a versatile dancer from Vancouver, B.C. She started dancing at the young age of 2 and a half and hasn’t stopped since. Her hard work and dedication led her to take part in a pre-professional training program. Lex has trained in styles such as hip-hop, jazz, contemporary, pointe, ballet, lyrical and tap. For 3 consecutive years, she was chosen as a provincial representative to compete against the top dancers from British Columbia. Lex previously trained with Kill The Lights Company, under the direction of Shauna Smith and Ken Yung. She currently trains with Illustrative Society, led by Joe Tuliao. Lex has appeared in several music videos, such as David Vertesi’s “Sad but True” Quinn Bates’ “High With Me” and Eliza Smith “Payback.” Lex recently worked on DC’s Legends of Tomorrow and Lucifer. She was also a lead dancer in GSG Production’s “Moulin Rouge.” Lex has also been asked to dance in many special projects for Vancouver’s top choreographers. She enjoys acting, and was featured in a DreamWorks film and has done several TV commercials. She is currently represented by Premiere Talent Management and continues to pursue opportunities in the dance industry. Erika Ashley Bernard was born and raised in Vancouver, British Columbia. Erika has dedicated 13 years of her life to high level training in both Rhythmic Gymnastics and Dance. Later she was rewarded for her hard work by achieving being on both the Senior and Junior Canadian National Rhythmic Gymnastics team. Erika represented Canada as a competitor at numerous World Cups and International Rhythmic Gymnastics competitions. She has received world class training. Erika has trained all over the world including the Bulgarian National Training Centre, with the best coaches dedicated to high level flexibility, musicality, agility and co-ordination. During all this training and competition Erika was a versatile athlete who also was proficient in high level dance as well. Erika studied ballet at Canada's National Ballet School in Toronto as well as the Boston Ballet School. With a large knowledge in all styles of dance she has competed at the prestigious Youth America Grand Prix. She was successfully was awarded to be a finalist at Youth America Grand Prix New York City Finals for two events. At YAGP she was given the opportunity to study at The Rock Ballet School with scholarship. Now she loves to share her passion for flexibility, dance, musicality, performance and high-level acrobatic skills for dancers. Erika is a caring teacher who selects dancers to work privately with for their personal character as well as work ethic. She looks forward to working with dancers who show a dedication far beyond their years. ​Tosh Sutherland is a Vancouver based dancer and actor specializing in Tap Dance. He began his tap dance training at a local studio at 12 years old. By 16, he won a Bronze medal at I.D.O.’s World Tap Dance Championships in Germany. Since graduation he has actively pursued higher education in Tap Dance and has had the opportunity to train with some of North America’s most talented Tap dance artists. Most notably attending the prestigious School at Jacob’s Pillow under the direction of Dianne Walker. After several years at sea with Princess cruises, he dove into the musical theatre scene in Vancouver and has been a part of some high-profile theatre companies including Gateway Theatre. He has been teaching for many years to students of all ages with an emphasis on technique as well as performance quality. Due to his extensive experience in theatre, he is able to impart a theatrical sense of movement and story to each piece he creates. 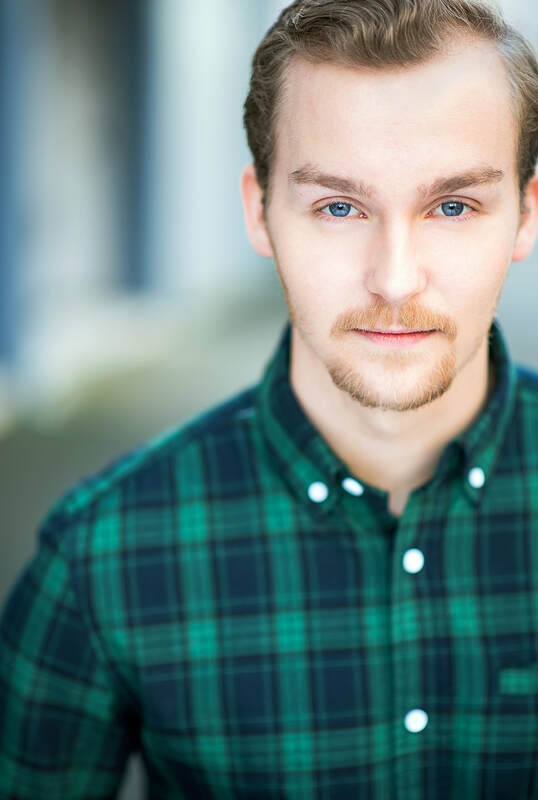 His most recent theatre credits include; Featured soloist for West Coast Tap Collective’sTap On Screen, Danny Nielsen’s all tap dance production of Love.Be.Best.Free, Gateway Theatres production of The Music Man, and Cry-Baby: The Musical with Awkward Stage Productions.